The 2013 Buick Verano is part of a small but fast expanding segment of the new car market that should become very important over the next decade—the compact luxury sedan. Yes, readers, it appears that new car buyers have taken to downsizing so intensely that they are now interested in luxury sedans that used to be the size of an economy car that the "monetarily challenged" were forced to drive. Now, with the Verano, Acura ILX, upcoming Audi A3 sedan and Mercedes CLA coming to market it appears that when it comes to a luxury sedan, size really doesn't matter. So what does? Well, first off it appears that buyers in this new market segment are looking for performance without a huge fuel economy penalty. Then, obviously, these buyers are the ultimate example of wanting as much value as possible into what must be a realistically affordable MSRP. The entry point for these vehicles opens no lower than $30,000 and there are many tantalizing extras to be had but if you behave sensibly when buying your car you will end up with a nicely feature laden, fun to drive and sporty feeling entry level luxury sedan. So, if you head down to your local Buick dealer to buy a new Verano sedan, will you drive off in a winner? Read on to find out. Most of the 2013 Buick Verano lineup is made up of models equipped with an eager yet none too special 2.4 liter 180 horsepower/171 lb. feet of torque 4-cylinder mated to a pleasantly unobtrusive 6-speed automatic. Then, of course, there is the Verano turbo with its manically caffeinated 2.0 liter 250 horsepower/260 lb. feet of torque turbocharged 4-cylinder that comes standard with a six-speed automatic but can be ordered with a no cost 6-speed manual gearbox. More on that later. Pricing for the base model 2013 Buick Verano comes in at $23,080 and includes as standard dual zone climate control, 18-inch alloy wheels, Bluetooth, power windows, locks and mirrors, Sirius XM, On-Star, a back-up camera, ambient interior lighting and a 6-speaker AM/FM/CD audio system with a USB/i-Pod jack. All Verano models come with a standard 7-inch center dash mounted touch screen with Buick's Intellilink System. The turbocharged motor is only available in the most expensive top level trim, however. Just one step up from the base Verano is the Convenience Trim model which starts at $24,350 and adds heated side mirrors, blind spot warning and rear traffic alert safety systems. On top of that you can add the Leather Equipment Group for $26,755 which adds sumptuously soft leather seating, push button start, keyless entry, heated front seats and steering wheel, a Bose Premium audio system and Buick Quiet Tuning Technology which helps keep all outside noise from disturbing the Verano's passengers and driver. The proof is in the pudding, this is one quiet luxury sedan. Lastly there is the Premium Equipment Group for $29,105 which adds the 2.0 liter turbocharged 4-cylinder motor, a 6-speed automatic or 6-speed manual transmission, rear spoiler, chrome tipped exhaust and metal effect pedals inside the cabin. On top of that price the only major features you may want to tack on are a power sunroof for $900 and a nicely integrated AM/FM/CD/DVD/MP3 playing in-dash navigation system unit for just $795. That's a whole lot of front drive luxury sport sedan for just a little over $30,000. The Verano isn't nearly as cohesively stylish as it's slightly larger Buick sedan sibling the Regal but it was made to work with what it was given and those were the old hand me downs from its other platform relation known as the Chevy Cruze. Now, we think the Chevy Cruze is handsome in a blue jeans and a short sleeve shirt sort of casual manner but apparently Buick's stylists didn't find its simplicity appealing. So they went ahead and made a few questionable, shall we say, bedazzlements. Actually, the looks of the Verano are quite inoffensive barring the use of cheesy faux-portholes along the sides of the hood that are meant to harken back to Buick's history but just look like tiny, shiny bedazzles left behind by someone with a giant bedazzling gun that could cut through sheet metal. Bedazzling isn't okay on clothes and not on cars either. Lastly, the rear tail lamp design features odd chrome slashes above the actual lighting fixtures that constantly looked to us like harshly tweezed eyebrows in the style of perhaps one Joan Crawford. Intentional? Probably not. Blessed with a serious bounty of luxurious features and options, Buick really did manage to cram a whole lot of upscale content into a vehicle the size of your average compact economy car. Unexpected features like push button start, a heated steering wheel, Bose Premium audio, glossy and upscale looking wood trim along with highly supple leather seating surfaces all manage to comingle successfully to create the feel of a more expensive and larger vehicle. Admittedly, the steering wheel and overall layout of the interior will be familiar to any Chevy Cruze owner but in higher trim levels that compact car does a pretty good impression of a luxury sedan. Except in the Buick, GM took the time to use more expensive feeling soft touch plastics, added features like dual zone climate control and as we mentioned earlier utilized a higher grade of leather no doubt harvested from the most pampered cows on Earth. Perhaps Buick has the cows massaged each day to get such a nice feel from its leather seats? Who can be sure? As this is still a compact car, rear seat legroom is adequate but not overly generous. Adults over 6 feet tall will need to ask the person up front to move their seat forward a bit to be comfortable. The interior has plenty of cubbies for smart phones and the like as well as a nice and deep center console under the armrest. Trunk volume, at 14.3 cubic feet, is excellent for a vehicle of this size. In other words, your grandparents might be comfortable with this Buick's interior but in no way will it be totally familiar to them either from any past ownership experiences with the brand. The more basic Verano trim levels are powered by a wholly adequate and peppy 2.4 liter 180 horsepower/177 lb. feet of torque 4-cylinder that is refined, quiet and perfectly of handling normal around town duties. The 6-speed automatic is a smooth operator and helps this version of the Verano return 21 city/32 highway with a decently sized 15.6 gallon fuel tank. But the real star, in our experience, was the raucously powerful 2.0 liter turbocharged 250 horsepower/260 lb. feet of torque 4-cylinder that surprisingly enough returns EPA figures of 21 city/30 highway—that's not much lower than the less potent Verano manages. And with the 6-speed automatic as the chosen transmission, there is no doubt tons of fun to be had behind the wheel of this luxury sedan. But because of the comically awkward and notchy shift action of the no-cost manual transmission there is no way any driver will mistake this for a sport sedan. Adding insult to the manual gearbox's injuries is the fact that the plastic console surround in our tester moved every time we shifted as if the lever was a about to come loose in our hands. The clutch pedal had zero feel giving the driver no idea where the bite point was so smooth driving was never easy. Add in quite a bit of turbo lag at low revs and you have the recipe for a vehicle that's no fun in traffic. Trust us, buy the turbo with the six-speed automatic. Aside from our qualms with the transmission in our tester, otherwise we came away impressed with Buick's newfound engineering prowess when it comes to tuning in the appropriate amount of sport and luxury into its steering racks as well as the suspension tuning. Going over bumps the car proved very much able to handle huge L.A. potholes yet when you decided to drive more aggressively you never felt like the car was anything less than fully in your command. Shame about that gearbox. Currently the only model on sale that truly competes with the Verano head to head is the 2013 Acura ILX sedan (based on Civic mechanicals) that comes with either a hybrid powertrain, a 2.0 liter 150 horsepower 4-cylinder engine or a high performance 2.4 liter 201 horsepower 4-cylinder/6-speed manual combo meant for performance driving enthusiasts. Having driven all three ILX models, the only one we would recommend you avoid is the sluggish, noisy and not all that efficient hybrid model. Other possible options in this size class available with the luxuries and power options of the Verano include the 2014 Volkswagen Jetta GLI sedan which features a turbocharged 2.0 liter 4-cylinder engine and a superior manual gearbox in comparison to the Verano. Lastly, if you really have your heart set on a Verano Turbo then as a leftfield choice we recommend you also look at the Kia Optima SX Turbo model as it features one of the most stylishly luxurious interiors in its segment and the most handsome exterior styling. The model we used for testing purposes was a 2013 Buick Verano Turbo equipped with a six-speed manual transmission. As we had no experience in an automatic turbo model or the naturally aspirated version we cannot say which engine and powertrain suits this car the best. All we can say is that we are quite sure the Verano with the manual gearbox and turbo is the least enjoyable model to live with as our past experience with this platform as a Chevy Cruze was quite positive. So stick with an automatic gearbox if you decide to buy a 2013 Buick Verano. 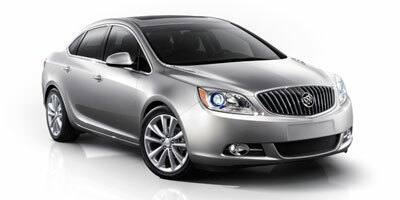 Interested to see how the 2013 Buick Verano ranks against similar cars in terms of key attributes? Here are the 2013 Buick Verano rankings for MPG, horsepower, torque, leg room, head room, shoulder room, hip room and so forth.